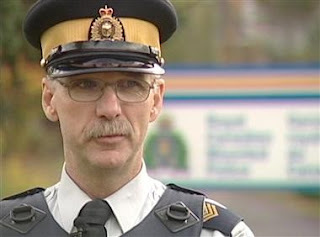 Stuart Seib, the former RCMP commander in Merrit, BC pleaded guilty to stealing and using cocaine from an evidence locker. This is an old story but he recently pleaded guilty in February. His sentencing was supposed to be April 9th in Kelowna but I haven’t seen any news of what happened yet. As I recall, the disturbing part of this case was that he was caught because he told a subordinate about it. That would imply he thought the subordinate would have been OK with it which he was thankfully not. That leads us to ask how many other subordinates knew about what he was doing and were OK with it. One of the places he previously served in was Prince George. That leads me to ask how many other police are doing the same or similar things AND what is being done to not on prevent it but address the ramifications of such. As someone who is mandated to uphold the law, they should have more stringent sentencing - such as an automatic three times that which a civilian would get due to the importance of their position and role. If a police official would balk at this concept it is telling - if they are truly interested in upholding and enforcing the law as well as serving they should be more than adamantly supportive of such a thing. LOL, you would NEVER get that to happen. I'm ROFLMAO just imagining the howls of protest from them were that ever put forward as an amendment to the Criminal Code. It’s almost as unlikely as getting one of those private mercenary armies to be publicly accountable. Like that’ll ever happen. They make too much money.